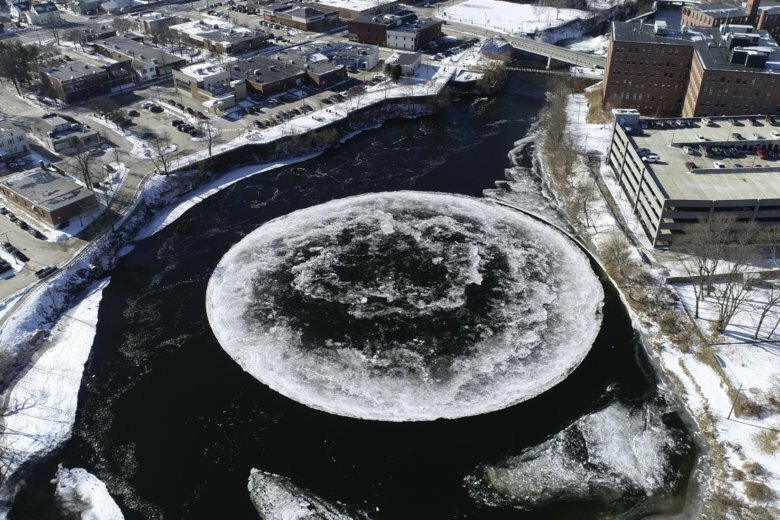 WESTBROOK, Maine (AP) — Maine’s giant spinning ice disk that quickly gained international fame seems to have met its end. The formation in the Presumpscot River in Greater Portland stopped rotating Wednesday, two days after a video of its mesmerizing movement was widely shared on social media. The roughly 100-yard (91-meter) wide disk is lodged against the river’s edge, preventing it from moving. The ice formation is believed to have formed naturally where there’s a circular current that creates a whirlpool effect. Social media users compared it to an alien spacecraft and the moon, and ducks used it as a big raft.